While she did not lose consciousness at any point, she advised she only clearly remembers two distinct strikes. She remembered the feeling of tossing and tumbling while trying to get to her feet. The official report has been released after a zookeeper was attacked by a rhino at the Jacksonville Zoo and Gardens last week. The Florida Fish and Wildlife Conservation Commission (FWC) released the report on Friday which details that the attack may have been even more violent than previously reported. Pamela Quinn Robie, 31, was attacked at the Zoo on last Tuesday. According to the report, FWC received a call from the Jacksonville Zoo and Gardens around 10 a.m. in reference to an incident that had occurred involving a zookeeper and one of their rhinoceroses. It was advised that a keeper was injured by a rhinoceros at the zoo while conducting a training exercise. Another rhinoceros keeper at the zoo told FWC that Robie was training the male rhinoceros (Archie) in the rhino training chute at approximately 9:40 a.m.that same day. 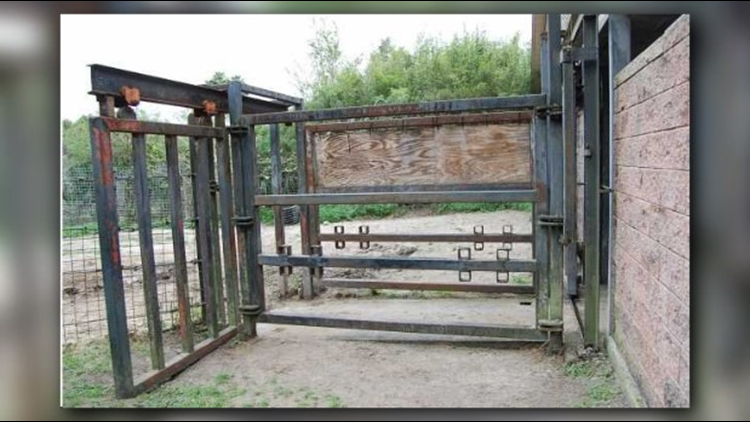 While training the rhinoceros, Robie was separated from the rhino by horizontal, metal bars. The report states that Robie was positioned at the front of the chute where the rhino’s head was and the other keeper was located behind the rhino, also separated by metal bars. Robie was tasked with feeding/rewarding the rhino as well as keeping time with her phone for training purposes. While walking to the front of the training area where Robie was, the other keeper heard Robie call her name and say “he’s got me”. She then ran around the wall and realized the rhino had dragged Robie into the chute and flung her into the air. The other keeper had Robie move out of the training chute doorway so that she could secure the door between them. The incident was about 10 seconds long. Robie told FWC that she was outside of the chute, kneeling down when at some point, the rhino was startled and went towards her. The rhino hit her arm and part of her shoulder against the bars. Instead of falling backward, she lost her balance and fell forward, in-between the two lower, horizontal bars. She says when she fell in-between the bars, she was struck again and pushed further into the chute towards the holding yard. While she did not lose consciousness at any point, she advised she only clearly remembers two distinct strikes. She says she also remembered the feeling of tossing and tumbling while trying to get to her feet. FWC says there was never a threat to the public when this incident occurred. 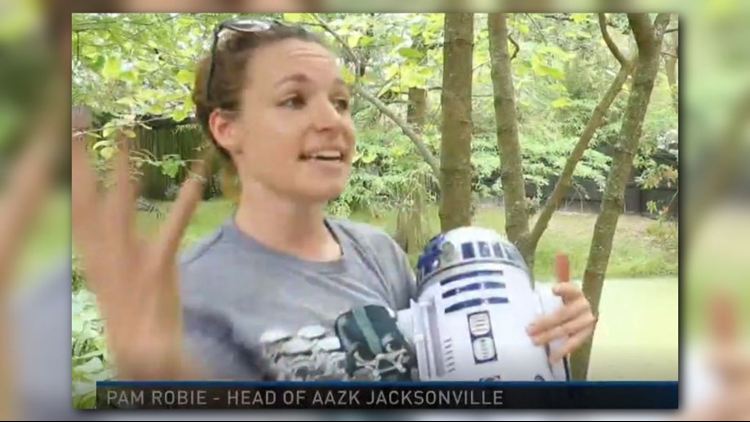 First Coast News spoke with Robie back in 2016 for a different story about the Jacksonville Zoo. She's the head of the American Association of Zoo Keepers for the Jax Zoo. Archie, the rhino involved in this incident, is a 50-year-old rhino, known to be one of the zoo's most beloved animals. He's been at the Jacksonville Zoo since 1975. Archie is also described to be the biggest rhino at the exhibit, weighing about 4,000 pounds.